Now hardwood flooring experts, Jorge and Ismael started New England Custom Floors after apprenticing with other hardwood floor companies. Successfully completing courses with the NWFA and National Oak Flooring Manufacturers Association (NOFMA) in installation and refinishing; Jorge, Ismael and their team continuously improve their technical skills. Ismael recently served as an instructor for both the AHEC and NWFA. 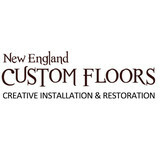 Specialists in antique floor restoration, installation of all types of wood species, unfinished and engineered flooring, working with chemical reactive stains and mixing custom dyes, NECF has an extensive track record working with numerous clients in Fairfield and Westchester County. 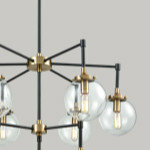 They are also respected for their professionalism by realtors, interior designers, architects and custom home builders. Projects range from the straight-forward installation of pre-finished solid wood floors, to the most intricate hand-cut custom medallion and border installations. 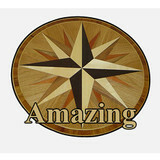 Amazing Hardwood Floors LLC is at the cutting edge of the flooring industry. Our goal is to ensure that we exceed our clients’ expectations every time. This is our main priority because building strong relationships with our clients is extremely important to us as we believe our clients are the heart of our company. Our devoted management and sales teams share our vision, enthusiasm and devotion to exceed our clients satisfaction. Providing outstanding customer service is equally important to us and we are available 6 days a week, including Saturdays! We have been serving our local communities for more than 10 years and during that time we have been able to develop and maintain great relationships with clients. Our extremely high employee-retention rate and vast amount of experience makes us confident to tackle any job or situation as well as ensuring our clients we can get the job completed properly. There is never a job too small or too big, we strive to help you make your house beautiful from corner to corner. 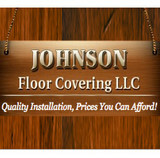 Johnson Floor Covering has diligently served the Connecticut shoreline for over 55 years. That experience means our friendly staff can answer any and all of your questions or concerns. 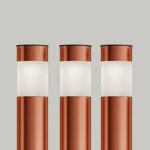 That also translates into quality installation. 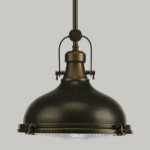 You can view our enormous selection of products in our 11,000 square-foot showroom. Walk through and see the many floor covering products we offer, before making your choice. With our expansive showroom, we are able to offer you any floor surface you may want in your home. 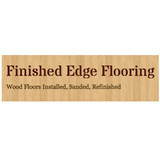 From hardwood to carpet, tile and vinyl and more, we have it all and can install the products you choose. 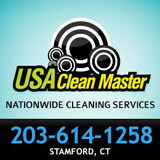 USA Clean Master offers you the best cleaning services in the Stamford, CT area. From carpet cleaning to air duct cleaning and more. Call us now and get a Free Quote! Coastal Carpet Cleaners are a full service Carpet Cleaning company serving residential and commercial customers in New London County! We offer both steam and dry carpet cleaning depending on what best suits your needs. Our experienced carpet cleaning technicians utilize the most advanced truck mounted cleaning systems to remove the most ground in dirt while at the same time completely reviving your carpets appearance. For over a decade, Coastal Carpet Cleaners have been locally and family owned and operated as well as fully licensed, insured and certified in all areas of our trade. It is our goal to always provide the highest level of customer service at fair and affordable prices. We are committed to providing London County, Connecticut homes and businesses like yours with a healthier, cleaner and more beautiful indoor and outdoor environment. We specialize in Carpet / Rug / Tile / Upholstery / Cleaning, Carpet Deodorizing / Protection, Water / Flood Damage Restoration and Pressure Washing. Call Coastal Carpet Cleaners today to discuss your next cleaning or restoration project! Having one of the largest showrooms in the area, Carpet Trends offers the widest selection of manufacturers which will meet your client's taste and budget. Fully staffed by friendly, knowledgeable salespeople, Carpet Trends will provide you with top quality, personal service. And we have our own highly trained, skilled, and courteous installers, ready to tackle the toughest installations. Quality floor coverings begin with quality choices. Thick rug pads add comfort, protection and insulation to your area rugs. We offer thick felt and thick foam rug pads for all types of area rugs. Old New House is a small family owned business located in Katonah, a hamlet of Bedford NY in Westchester County. Our brand has a strong focus in quality, authentic vintage home decor furnishings, as well as accent pieces made by USA based artisans. Having started as an online company, we have a long list of accolades from heavy-hitter bloggers, an award-winning selection of carpets, and numerous features in print: Westchester Magazine and Home, 914 Inc., Country Living Magazine, Record Review, and more. Our specialty is deeply rooted in vintage and antique hand knotted rugs and carpets from a multitude of rug weaving regions and countries from the near, mid, and far east. Our full collection of 1,300 + hand woven carpets are available for purchase in our online shop in addition to our flagship shop. Whether looking for an entry way rug, a living room carpet, or kitchen runner, we carry many different styles, our favorites including Oushak, Caucasian, and Persian Rugs (Bijar, Kerman, Sarouk, Tabriz, Heriz carpets and more). All our carpets are made of natural, renewable materials including wool, cotton, and silk, with the majority of our inventory bearing an age of 40+ years. We also feature finely woven textiles, including domestically made tea towels, vintage indigo mud cloths from Africa (Burkina Faso and Mali), and US made mid-century wool blankets. We showcase a collection of original prints, classic vintage school pull-down maps and charts, and nostalgia souvenir felt flag pennants, both old and new. To complement our selection of fine carpets, we have accent throw pillows made from antique carpet fragments and even stylish leather handbags and purses with vintage rug fragments. While many of the items we sell are made all around the world, we also support local and domestic USA based artisans and makers. Whether in search for art for the walls, carpets on the floor, accent pieces for the couch, or decorative pieces with utilities, you’re sure to find something in our shop. We are a full service flooring superstore! The days of identifying your first Sunday suit or your Dad’s winter overcoat in the braided rug you walk on are fleeting. And certainly, most of today’s Moms and grandmothers don’t have the time to strip fabric and hand-braid it like their ancestors once did. But, rest-assured, Thorndike Mills braids its rugs with these vivid memories. Our high quality braided rugs are manufactured with the words "authentic" and "reproduction" in mind…plus, "possibilities." We don’t confine ourselves to thinking back to Colonial times and manufacturing reproductions that only fit with Early American or Colonial décor. (That’s old school.) The many braided rug colors and styles we offer will enhance and complement many decors, from Craftsman, Country Cottage, Beach House, Traditional and eclectic decorating styles. Oh, the possibilities. Visit our gallery and see for yourself. That’s why we provide strict specifications to our cloth manufacturers—as well as our yarn suppliers, because we only want our braided rugs to be of the highest quality possible—so they fit in with any lifestyle, are durable for families (including man’s best friend, Fido), and still enhance almost any décor. CLM COTTON is a life style import company primarily concentrating in our collection of accent rugs and tabletop. 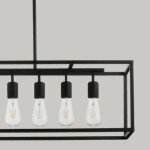 All our products are made by hand using only natural yarns. We are known for our wide range of textures , colors and an Unique variety of weaves. When it comes to carpet and flooring, there are plenty of choices out there. And while many dealers may say that they offer quality service and skilled installation, how can you really be sure? There’s only one true way to tell: experience. And that’s where Carpets To You Flooring Center shines. With many years of experience in commercial and residential carpet and flooring installation, our track record speaks for itself. We encourage you to come by and see for yourself. Whether it’s carpet, wood, ceramic or vinyl, our highly skilled, professional team delivers trusted, dependable sales and service for all your flooring needs. In fact, we like to think of ourselves as the flooring store at your door! That's because we offer a shop at home service designed to provide you with the utmost convenience in today's busy world. By bringing samples to your home or business, we can offer you personalized service, the expertise of a color consultant and – most importantly – the opportunity for you to see exactly how your favorite options will actually work in your home. This service is an excellent value by itself, and when you add our professional installation services to the equation, you've practically got a steal on your hands!